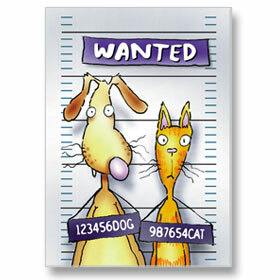 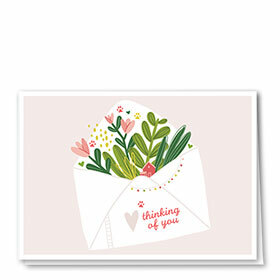 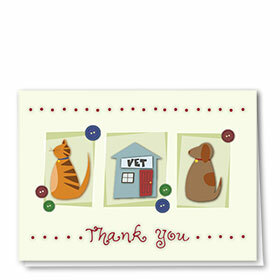 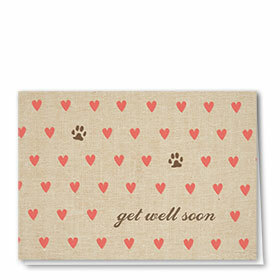 Show your four-legged pals and their owners just how much you care with our pet get well cards. 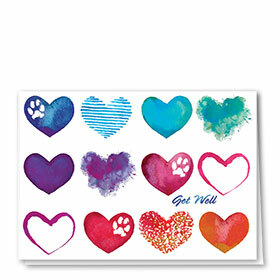 These signs of love are perfect for sending when those fury patients are sick or recovering from illness or an operation. 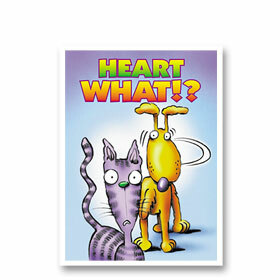 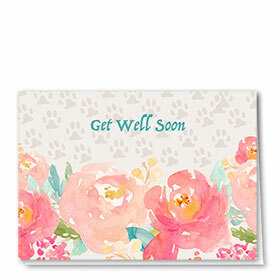 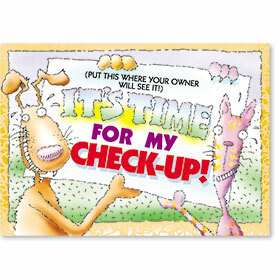 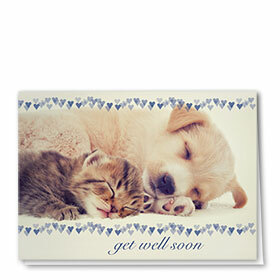 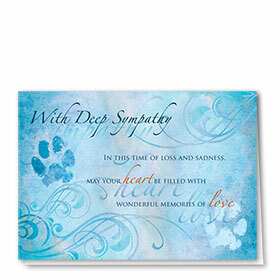 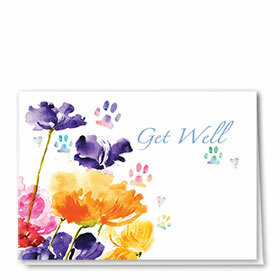 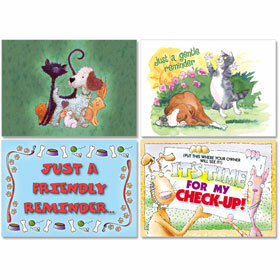 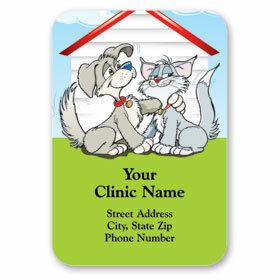 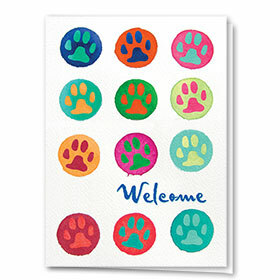 Animal get well soon cards include your choice of message and veterinary information printed on the inside plus of colored envelope. 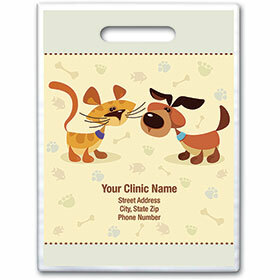 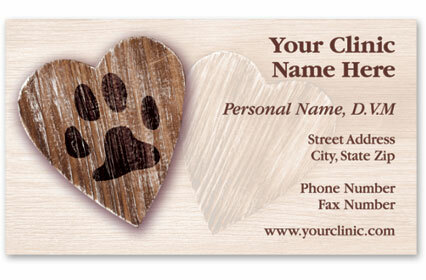 Order 200 or more and receive free envelope imprinting of your return address.